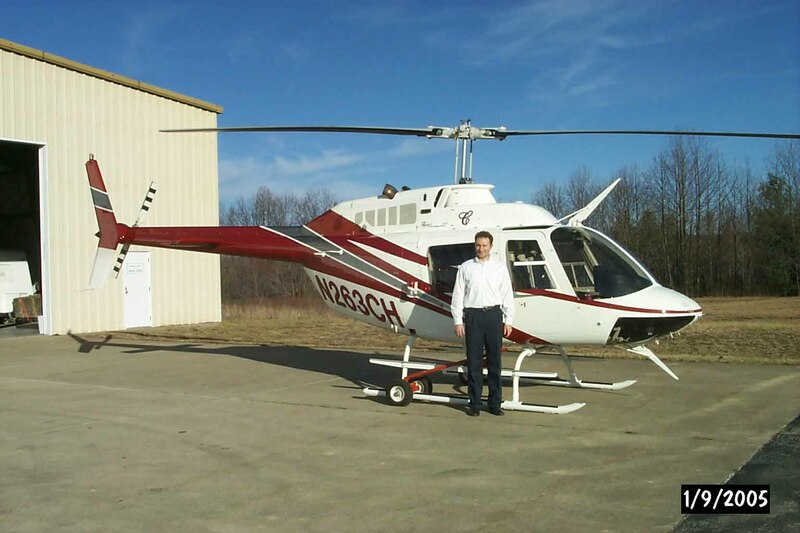 Jeff Robbins is a corporate pilot for a land developer and logging company operation in West Virginia and these are his "office machines". 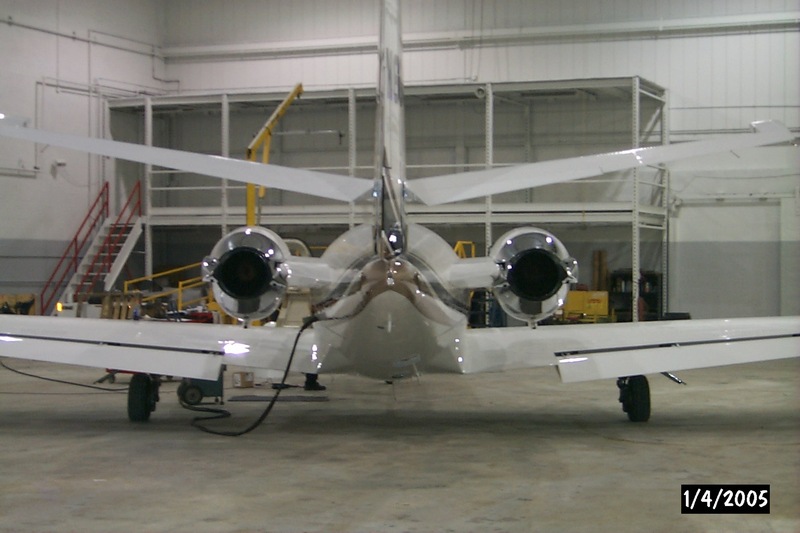 The first photo is the Citation sitting in a hanger in Cleveland after having a TCAS system installed. 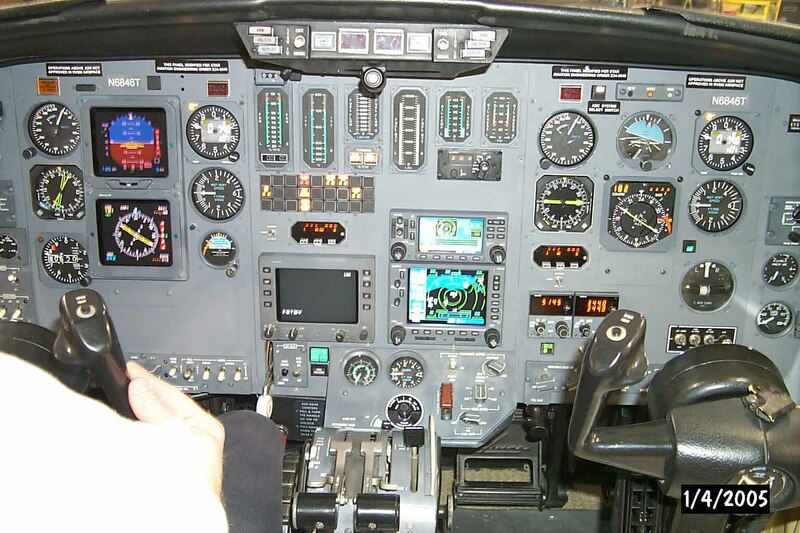 TCAS stands for "terrain collision avoidance system" and it is an FAA mandated upgrade on all turbine aircraft. 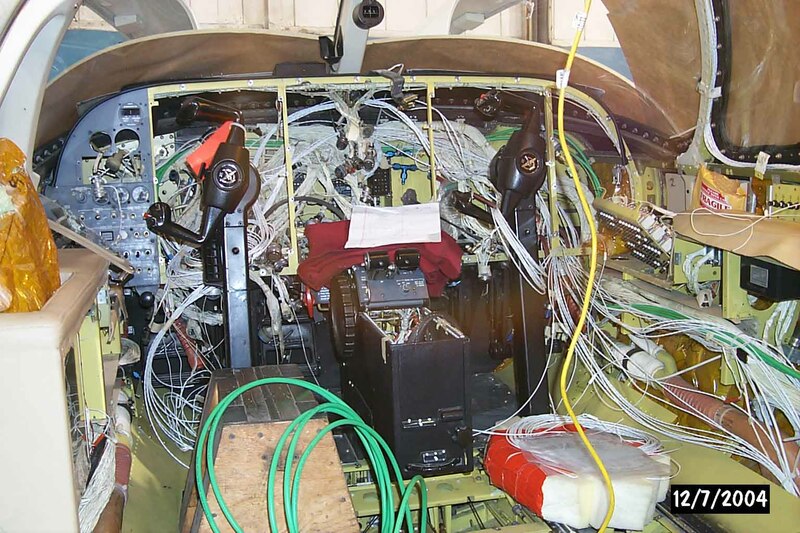 This is a look behind the dash of the Citation when the TCAS was being installed - and you thought automotive wiring harnesses were getting out of control. Here is the obligatory "after" shot. Having gone for a cruise in the co-pilot's seat I can tell you this - all those movies about the guy that saves the day by landing the plane after the pilot passes out are optimistic. This ain't no Piper Cub - it you don't know what you're doing, you're going to ruin a $2M airplane. I was uneasy about touching anything in there, let alone doing anything useful like drive. 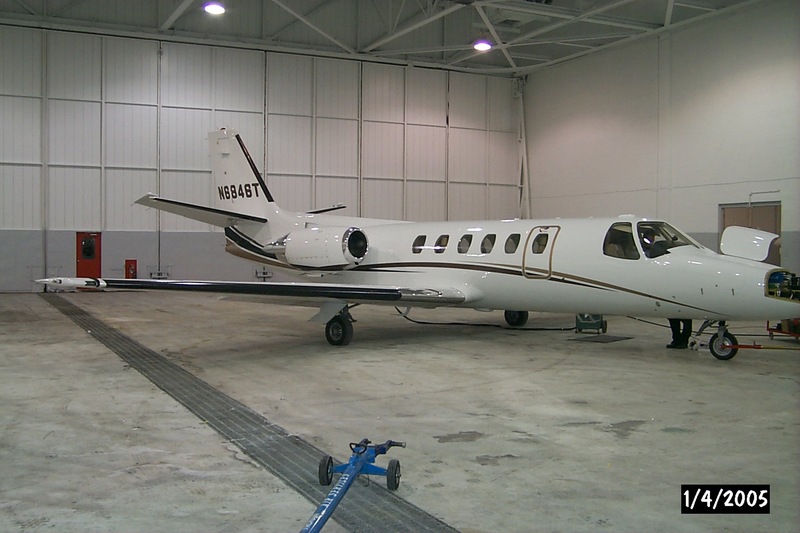 While the instruments make look familiar, there is a level of intensity in a jet that did not appear Jeff's previous plane, a Beechcraft King Air B200. The Beech seemed "normal". The Citation was a different experience altogether. Here's a shot of this bird tail-on. Finally, here's a pic of Jeff's other toy - the Jet Ranger.